Could you post a Github issue for that ? Hey, does this support custom worldgen? Can't seem to find any of the stone types in a Beta+ world, which is odd considering Quark's limestone and marble still generates. Block hardness can be changed using ToolProgression, as support has been added. Thank you so much for bringing this great mod to 1.12. Any chance of 32 x 32 textures? I really like what this offers, but the 16 x 16 textures really make it odd when put next to the x32 and x64 textures I use. However, the textures really are nice, I like the simple cleanness of them. I did not make the textures and I don't consider myself an artist. I doubt anything I could create would look very nice. 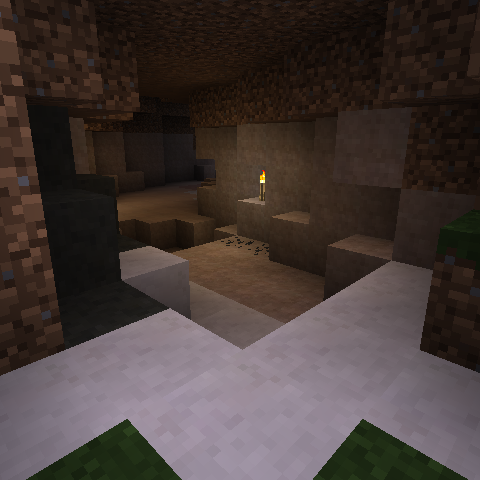 But maybe you can adapt this to your needs: https://minecraft.curseforge.com/projects/underground-biomes-128x128 ? That may help, thank you! Hello! I am interested in your mod but was wondering if it had any modded ore support and if so what mods. Thanks!